Our gymnastics program is a club sport. It is non-competitive. 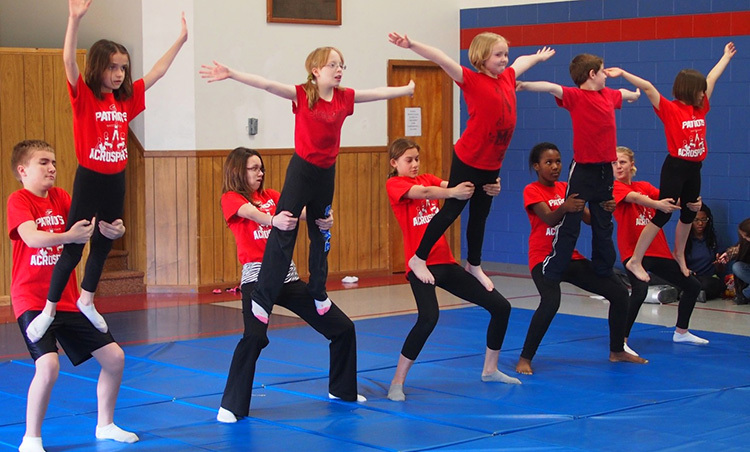 At the end of the season, the participants perform at a winter gymnastics show at the school. Note: There are no fees other than buying the team t-shirt, and there is no sports physical required for participation.